Mr Adrian Harvey does not hold a share or financial interest in this hospital, another Nuffield Health hospital or the company. 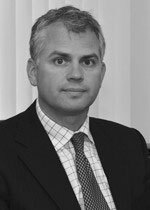 Mr Adrian Harvey does not have a share or financial interest in equipment used at this hospital or another Nuffield Health hospital. Mr Adrian Harvey does not hold any paid advisory role(s) at this hospital or on behalf of Nuffield Health.